Technology is fun, useful and so quick at connecting you with your friends and family. From time-to-time you will see a Tech Savvy Seniors course pop up. These practical workshops are focused on teaching you how to navigate around your iPad or iPhone, and use your new Tablet, PC or Mac computer with confidence. 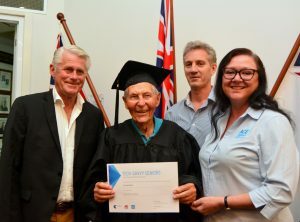 Tech Savvy Seniors is free training available for those over the age of 60, or Indigenous Australians over the age of 50. Tech Savvy Seniors course spots are limited. Info: Thank you for supporting our IT Program, we are thrilled you are keen to sign up for this course. Please contact our customer care team for possible dates.